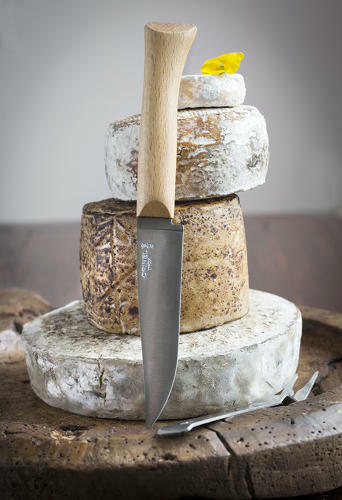 CHEESE SERVING KIFE AND FORK - The knife features a beech wood handle, made from sustainably harvested wood grown in Europe. The stainless steel blade is durable, sharp, holds its edge, and is easy to maintain. The simple fork can be used while slicing or serving from the cheese platter, and also serves as a holder for the knife.